It was the youngest member of the Just Love Christmas team, birthday yesterday. As with all nine year olds, he is really into something. This year it is Vikings. Absolutely Viking mad at the moment. So I was up early Saturday morning to go and get the birthday cake. Unfortunately my son is not just gluten intolerant like myself but also dairy intolerant. So we searched high and low for a local company who could do both a gluten and dairy free cake. And bang. 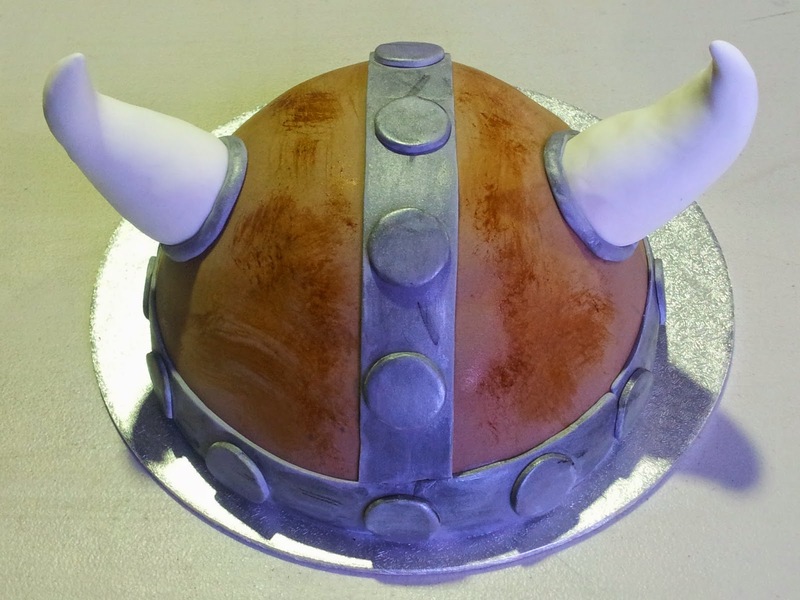 Amazing Viking Helmet Birthday cake. What now for Christmas. We will be keeping a close eye on what they will be doing for Christmas this year. We may not be making our own Christmas cake this year, particularly if the Gluten Free 4 U cakes are as yummy as their birthday ones.